It’s time for the final main show in the DCAU lineup. I still haven’t seen the Zeta Project or Static Shock yet so those two won’t be getting reviewed for quite a while. I’ll probably be watching them at some point though. Batman Beyond took a very different approach to the Batman mythos and it certainly worked well. I imagine it was probably pretty controversial back in the day and I can only imagine the reaction it would get nowadays. Still, that’s why you have to take a chance sometimes since it can pay off very well. 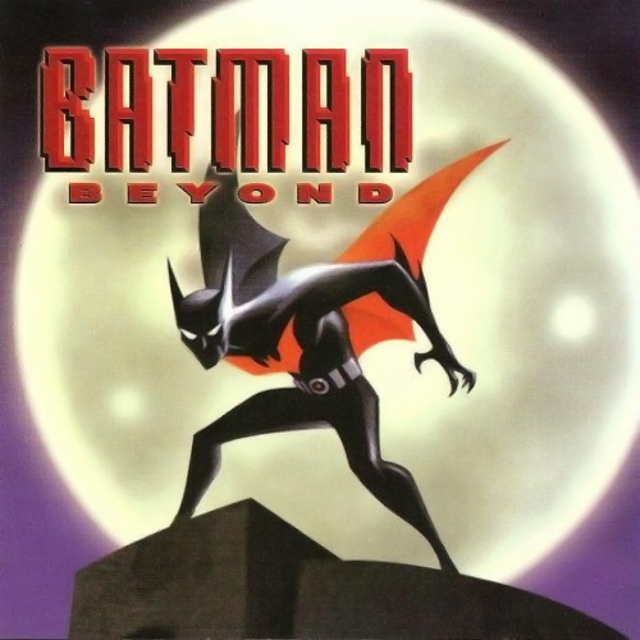 Batman Beyond takes place well after the events of the original Batman show. Bruce Wayne started to get older and suffered heart problems. He was forced to take off the Cape and cowl. (The final movie in the series has a plot twist so old age wasn’t the cause for Batman’s retirement, but that’s another story) Gotham City has completely reverted back to how it was before Batman showed up. Crooks are everywhere and the civilians are all scared out of their minds. Terry is a teenager who has grown up in this era and has developed into a tough individual who can look out for himself. One day, his father is murdered by the Joker gang so he decides to steal the Batman suit to avenge him. Wayne is reluctant to agree at first, but gets on board and that’s how Terry becomes Batman for the rest of the series. He may not be the genius that Bruce was, but Bruce assists him through a communicator which makes that a non issue. Terry was also already a fighter so we don’t have to watch him act like a total rookie. He handles his tenure as Batman very well. Terry is the main character and for the most part he is a great lead. While he may not have Bruce’s charisma, he has the passion and hot headed nature that most great anime characters possess. His first episode was a little rough as he was acting out quite a bit, but a tragic attack forced him to mature a lot in that regard. He always sticks up for the weak and keeps his emotions in control when it counts. Terry has no shortage of confidence either and is never afraid to go up against an opponent, even if Batman thinks he should wait. Like Peter Parker, (A character who has a lot of similarities to Terry) Terry has to deal with a lot of romance drama, but it never becomes the main theme of the show or a priority to the point where it would take away from the plot. I was definitely satisfied with having him as the main character. Bruce Wayne may not be Batman anymore, but he is still rich and retained his intellect. Batman was never feared purely for his amazing hand to hand combat. His genius is what also intimidated opponents. It can be frustrating to see him so old and unable to defeat opponents like Inque, but at least he continues to try so you have to give him points there. That’s why it was cool to see him turn young again in the Ra’s episode since he got to finally fight at peak strength again. The show even managed to give him a stronger sound effect than Terry’s to show the difference in power. Bruce was only a little unlikable in the first episode and you can understand his reasoning for wanting the Batman legacy to die. The last thing he wants is for another ally to bite the big one. Terry wasn’t even formally trained so he would be in a lot of danger. I can get that, but shutting down Terry’s suit while he was being attacked was going a little overboard. Not to mention that sending Terry away without any real help was also pretty bad since he was essentially helping the villains by doing that. Letting Powers steal the company is also something that is hard to picture for such a strong willed individual. I guess you can say that Bruce also regains his old spark while Terry learns how to be Batman. We also can’t forget that he has a real cool guard dog by the name of Ace. I didn’t care for Ace’s episode as it was one of the iffy ones, but he’s definitely a great character. Ace is fearless and never backs away from an enemy. Terry was lucky to have him around quite a few times. Max is one of Terry’s friends. She has good hand to hand skills and after she finds out his secret, she helps out in the background a lot like Oracle. The heroes are always hesitant to accept her help, but by the end she is one of the gang. She did give us the weakest two part event with the King Cobra villain, but you can’t really blame the character for that. Max was a solid supporting character and I’m sure that her role would have grown more f we had gotten another season since the heroes were working with her more. Dana is the main heroine of the show. She is around to give Terry a reason to have a daily life, which prevents him from being Batman close to 24/7 like Bruce. Bruce was always in the Batman mindset at any rate I’d say. Dana is pretty reasonable for the most part and there is certainly less drama than some other super hero romances like Mary Jane and Spider-Man. I’m definitely on Dana’s side more than Terry’s for the show since she was always loyal while Terry did cheat on her with someone else. He broke it off fairly quick, but it shows that he went on the rebound fairly quick. It would have been cool to have seen Dana get a crime fighting suit, but I suppose every supporting character doesn’t have to turn out to be a fighter. Dana is smarter than some of the other characters as well since she actually put the pieces together about Terry’s mysterious disappearances. Barbara Gordon lost a lot of her personality in the transition to the new era and has become another pencil pusher with no real idea of what goes on in the field. The worst part is that she knows who Batman is so she can effectively blackmail the heroes. It is definitely annoying but luckily Batman is always ready for things like this and Barbara got a fairly small role in the show. It’s a shame, but I guess some superheroes lose their likability after they hand the costume in. Powers is really the main villain of the series. There are other recurring villains of course, but Powers is the only one who lasted a full season. He would show up a lot in both major and minor roles. Powers even got special abilities of his own that made him a real threat. The radiation that he emits would allow him to beat many foes despite a difference in power. Sure, he would lose to a really strong foe, but he would give them cancer so it would essentially be a draw. He was a good villain to have since having someone who’s not one and done is always a good thing. Inque was another villain who shows up a few times and I thought that she was definitely better than most of the others. Her powers make her a really powerful threat to Batman. It’s hard to capture her or to even land any damage because of how she can almost become liquid. Electricity is her only weakness and even then you have to be careful how you handle her. Forcing Batman to swallow her was definitely one of the most traumatic moments of the series I’d say since it looked quite painful. Mr Freeze is one of the few old villains who shows up in Beyond. His fate is rather tragic here as he was a head for many years and once he finally gets his body back, he is promptly betrayed. He really wanted to turn over a new leaf and become a good person, but it wasn’t to be. The betrayal made him go off the edge once more and then he lost his motivation to go on. He was easily one of the best “villains” here and it’s too bad that he couldn’t have a happy ending. Shriek had a cool design. I figured that was worth giving him a quick write up here. He’s basically a generic villain otherwise. There’s not much to him otherwise. Kobra is a fairly annoying villain who took over the big villain organization at a young age. He’s just that much of a prodigy I suppose, but he went from being a fairly decent rival/classmate to being a generic villain. Now, Ra’s is a more interesting opponent. Granted, his method of kidnapping Bruce Wayne and going about his plan was rather off. He could have planned things out a bit better and then maybe his plan would have been successful. It was still neat to see how he had survived all of these years though. He certainly was a very cunning opponent for the dark knight. The Royal Flush Gang went after Batman a few times. This show’s Ten got the biggest role out of all the members. They made for good opponents because while they were weak individually, they were a threat as a group. Defeating Batman with sheer numbers was always their plan, even if it wasn’t always an effective one. I like the designs and the concept is fun too. They’re just rich people with a bunch of time on their hands so why not become thieves right? Finally, we also had the Justice League show up. Their members may not be as impressive as the ones you’re used too, but they can still deal some damage. Superman is still around and while his powers have lessened over the years, he’s still quite powerful. He’s as smart and dependable as always even if his will power isn’t quite as good as it should be. I do like his Justice Lords design, but I do have to wonder why he would ever don that costume. It certainly makes you wonder. Aquagirl’s probably the only super nice member of the group and she does her best to help Batman fit in with the others. She doesn’t seem to be all that powerful when it comes to combat though. Green Lantern comes off as rather annoying and is easily my least favorite GL. He doesn’t appear to have a great imagination and his voice just got on my nerves. It’s easy to see how he died in Justice League. Warhawk is basically a male version of Hawkgirl. He’s loud and talks a good game, but he’s not all that strong. The design was good though and at least he did have enough strategic awareness to come up with a plan when things started to get out of control. I’d say that this already makes him a better character than Hawkgirl for me. Big Barda’s another tough member who doesn’t like Batman. It should come as no surprise that Batman was eager to get away from the team as soon as possible. Lets face it, there was no reason for him to stay somewhere where he’s not wanted. Lets take a look at some of the episodes of Batman Beyond. Naturally, the opening two parter was a lot of fun. It got a high budget and started the whole series off. It was very fast paced and I was satisfied with the origin. It’s sad that gangs can break in and out so easily in Gotham, but the city has always been like that so it’s not too surprising. The place has always been corrupt and that’s why Batman is always needed. A Gotham without any crime fighters is a very scary place indeed. The Mr. Freeze episode is golden. His fight with Powers was a lot of fun. Now, I think Powers should definitely have the edge here and he was winning, but it was good to see Mr. Freeze put up a fight. Powers’ brief fight with Batman was also good. The episode just had a lot of action throughout and the animation was stellar. It’s the kind of episode that you could even watch directly after the first Batman series since it’s a sequel in part to the original. It’s a tragic episode, but an enjoyable one. Another episode saw the debut of Curare, a skilled assassin. I forgot if the show explicitly said that she was from the League of Assassins, but if not, then an equivalent organization anyway. Her skills were certainly very good and as she has never failed an assignment before, Batman really had to be careful here. By the end she has to watch her back as well since the League is after her, but given her track record, she should be able to hold her own right? Well, that’s exactly what happens as she appears in another episode and we find out that she simply got rid of the organization. That’s why you probably shouldn’t try to destroy your best agent on a whim like that. Both episodes were great and some of the best in the series. Lost Soul was a pretty interesting episode as someone takes over the Batman suit so Terry must used his hand to hand skills without backup for a change. It’s a fun change of pace since we don’t get to see Terry do a lot of formal sleuthing. He does check things out in his alter ego, but seeing him stick to the shadows is rare. Back to a more conventional episode, Terry is challenged by The Stalker. The Stalker wants to destroy Batman to prove that he can hunt anyone. Unfortunately, he’s bitten off more than he can chew and starts to suffer delusions by the end. Batman completely broke him. The Stalker made for a good enemy though. Babel was another fun episode as Shriek eliminates language. Nobody can understand each other now so that makes Batman’s job a lot harder. He’s got to find Shriek without Bruce’s help. It’s tough, but Terry never gives up so he’s got this. Another solid episode is when Spellbinder frames Batman for murder. Barbara Gordan is very quick to jump on this so Batman must dodge the official lines and find a way to win. I believe that Mad Stan was also in this episode. I forgot to mention him earlier, but he’s easily one of the best villains in the entire series. I’m being serious here folks, Mad Stan is just amazing. He’s a conspiracy guy who is always yelling and talking a good game. Tell me with a straight face that he doesn’t sound amazing. It’s just not possible. He’s easily one of the funniest figures in the show. Sneak Peek is a good episode where a reporter learns how to go intangible. Unfortunately, this slowly corrupts him since the powers were too much and he ultimately meets a sad fate. Batman got lucky here since he was completely out of his league by the end. Seriously, there was basically nothing that he could do against this guy since no attack would work. It’s why nobody likes dealing with intangible foes. Repeller had a villain who couldn’t be touched. He had a barrier around him at all times. This guy was also crazy strong and Terry needed some luck to take him out. It’s always been a fun concept and the original X-Men comics had a villain named Unus with the same ability. It’s not used too often though because of how overly powerful it is. Finally, Where’s Terry is another good episode as we see Max and Bruce be the main characters instead of Batman for a change. It plays out like a mystery as they follow a lot of clues to see where Batman is. The episode is a little embarrassing for Terry, but you can’t win em all right? The show’s animation holds up very well to this day. The futuristic look ensures that it looks about as good as Justice League despite airing sooner. The colors are very good and everything is sleek. Batman’s suit is better than a lot of the redesigns that you see nowadays and is still one of Batman’s best costumes. It may be the best besides the classic DCAU one. (Yes, Batman had 2, so I’m talking about the Justice League one) Likewise, the soundtrack is excellent and one of the best that you will hear in a show. Certainly the best in western animation. It’s just hard to get better than this since every theme is very fast paced and techno. It fits the future environment very well. It also goes without saying that the writing is very solid in this show. 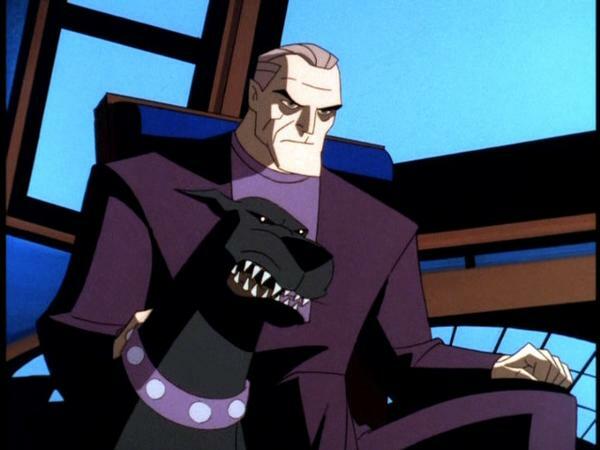 It’s the DCAU so you’ve probably come to expect this by now, but it’s still a nice credit to its resume. Nowadays, shows would do a lot to grab writing as solid as this. 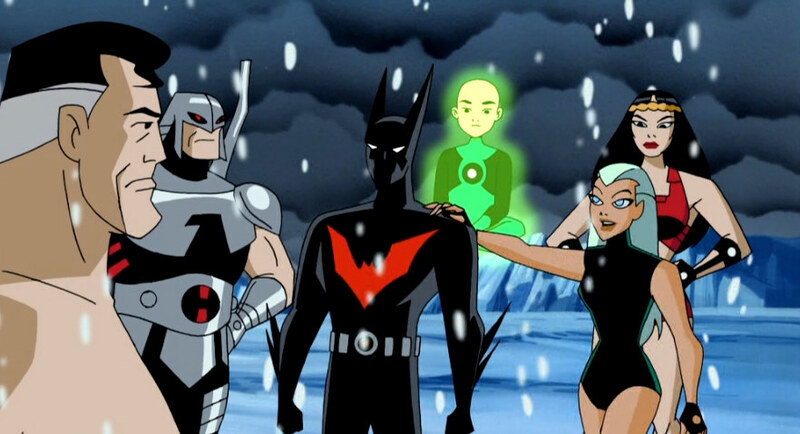 Overall, Batman Beyond is a great show. It did a good job of showing what it would be like to be Batman in a future DC universe. It was dark toned throughout, but it was usually not dark for the sake of it and never got super violent or anything like that. There may have been one or two episodes that went a little too far with that, but they were few and far between. The average episode was very solid and this is a series that I recommend to all action fans and especially to DC fans. It’s the next generation of Batman, how can you afford to miss it? Even if you don’t ultimately end up finding Batman Beyond to be more likable than the original, you should end up being a fan by the end. To be fair, Bruce Wayne is still the definitive Batman for me as well, but I actually like Terry more than all of the Robins in the DCAU. He was just written really well. This entry was posted in 8 Star TV Shows, Reviews, TV Show Reviews, TV Shows and tagged Animation, Batman, Batman Beyond, DC, DC Review, DCAU, Review, Superman, TV Show, TV Show Review by dreager1. Bookmark the permalink.